This species can be seen quartering low over wetlands just before and after sunset, hunting for rats and mice. They roost on the ground and make a nest that is no more than a hollow amongst long grass or reeds. Their call is a harsh croaking noise that sounds more like a toad than an owl. 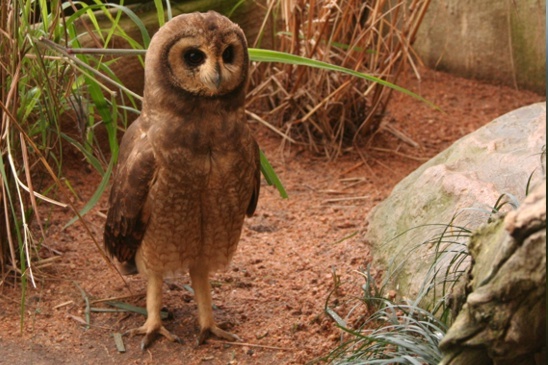 Moth is the Marsh Owl resident at the Sanctuary. A farmer was bailing hay and drove over a nest by mistake. Moth joined us late in 2006.